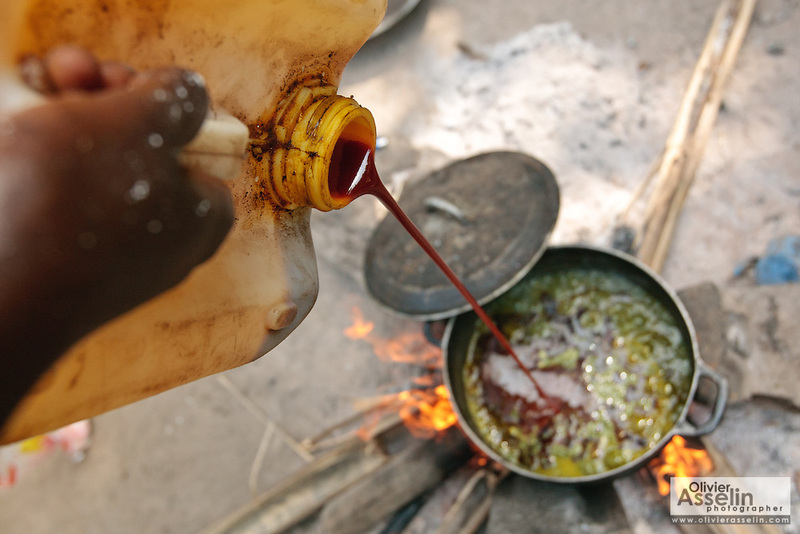 Edith Saysay, 35, pours palm oil into a pot as she cooks in the village of Jenneh, Bomi county, Liberia on Tuesday April 3, 2012. As part of a UNICEF sponsored social cash transfer programme, Edith and her family receive 2650 Liberian dollars (approx. 36 USD) per month. The money has allowed her to buy cassava from which she makes fufu that she then sells for profit. She also uses some of the money to send all of her seven children to school. Before joining the programme, only 3 of her children attended school.